Massachusetts has been crowned as the most energy efficient state in the US. It has been awarded the title for the fifth year running by the American Council for Energy-Efficient Economy (ACEEE). It said the state got a “perfect” score for its utility policies and has “high levels” of investment in electricity and gas. It achieved electricity savings of 2.5% in 2014. The region also offers a variety of grant, rebate and bond programmes to encourage investments in energy efficiency, the report added. 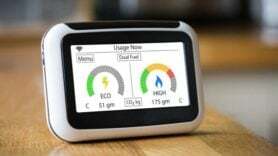 Its government has set energy requirements for public buildings and fleets and encouraged the use of energy savings performance contracts as well as Combined Heat and Power (CHP) development. The state is followed by Rhode Island, Connecticut and New Hampshire as being the most energy efficient.